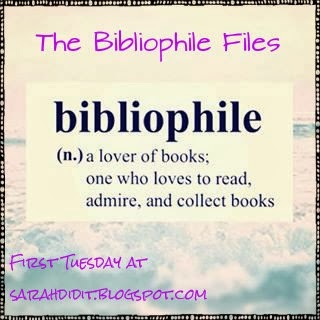 Yowzer - it's already time for another Bibliophile Files...where does the time go?? I'm certainly not getting through many books so far this year. I think it's partly because of my 6 hour/week EMT class. Of course, the final test is in just 16 days (even bigger yowzer!!!) so I'll get my reading/sewing time back real soon!!! Have you had any time to read in the last month? Please do share! We would love to hear about novels, quilt books, cook books, comic books, magazines, cereal boxes or you name it! Miss Peregrine's Home for Peculiar Children - such a fun YA book about kids with peculiar abilitites that can travel thru time. Keeping the House - one of my favorite book styles - the book takes place in both the present and the past. Except this time the "present" is the 50s and the "past" is 40s. Lots of jaw-dropping twists that just ruined this family poor little rich family and the town gossips that feeed the story. Hollow City - 2nd book in the Peregrine series. I do think these are books that must be read in order. The final CD had pictures of the peculiar kids and says another book is coming soon. I dug around on shelfari.com and I think it will be called Library of Souls. Your turn! Please link up a post with your recent reads or leave a comment below. We can't wait to hear what you've been reading! I've added Keeping the House to my list... sounds like my kind of book! I did have a quesadilla for lunch but can't say it was Cinco related.